Those are only for the angled type though, right? only the 1961 and maybe early 62s were angled. So you mean that MojoAxe produced that beautiful piece only for that one year SG production ? My '61 reissue and my LP Special 1 are angled. Maybe not as much as those 61's but not straight either. I'm really digging these babies man! They look the part for certain & if they perform anything like they are designed, so smartly with the sharp curve in the top's compensated radius, & how they look nickel plated, I they just gotta sound rock solid as fvk. Off hand, being you bought one already, What does one run? Don't know, I don't have one of those. The Mojo.axe website price is really up there! Not only do they cater to that small niche market but they also do there own improved version of the 52-52 Trapeze Bridge too! What a beautiful solution to a difficult bridge situation! Yup. That list price, is the street price. I couldn't find a better price anywhere. I don't think the studs and bushings comes with it either. The TonePros cost me about $77, even though it lists for $120. I hope it works out. The TP won't be here for another week. I'm estimating that it will be another 3 to 4 weeks before my SG Jr. project is at the stage for hardware assembly and stringing up. You know it's hidden quite well buy the web info says it intonated! It looks like a straight line to my eyes! You're going to have to give a personal eval once you string her up. 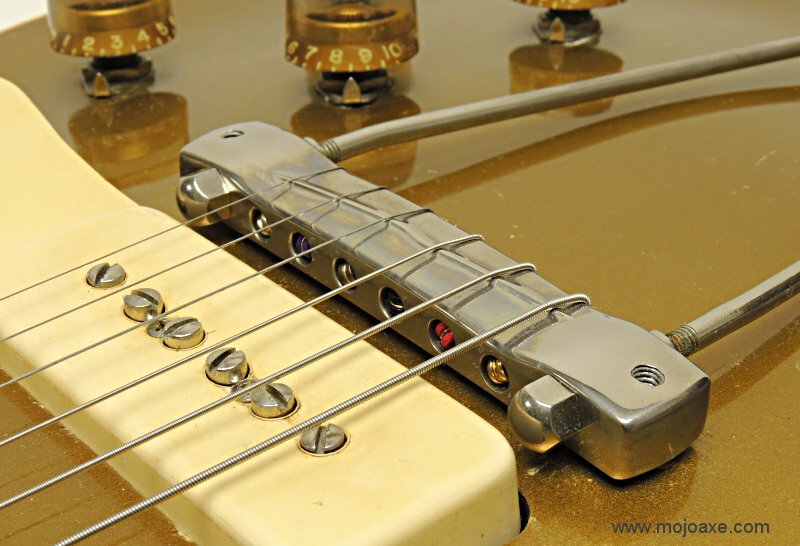 A true to “50’s Vintage” style lightweight Wraparound Bridge Set with TonePros Matching Locking Studs. Locking Feature eliminates “Bridge Lean” for optimum performance, and the Tail is engineered specially with “INVISI-Fulcrum” which allows strings to fulcrum on the bridge cleanly for exceptional intonation and increased harmonic overtones. 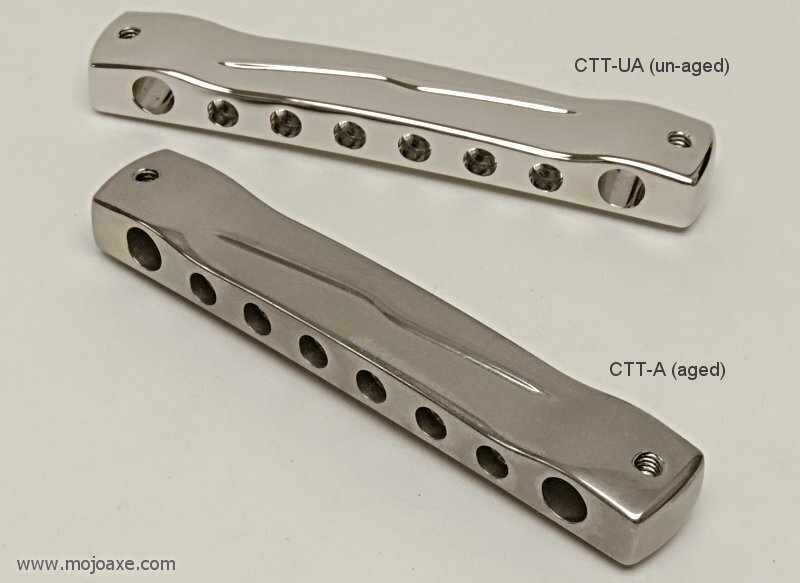 Aluminum construction provides an extra resonant quality and the TonePros patented locking feature adds significantly improved sustain and tuning stability. It looks like a straight line to my eyes! That's what I thought looking at it too. But hey, ya never now right? Question if anyone knows. 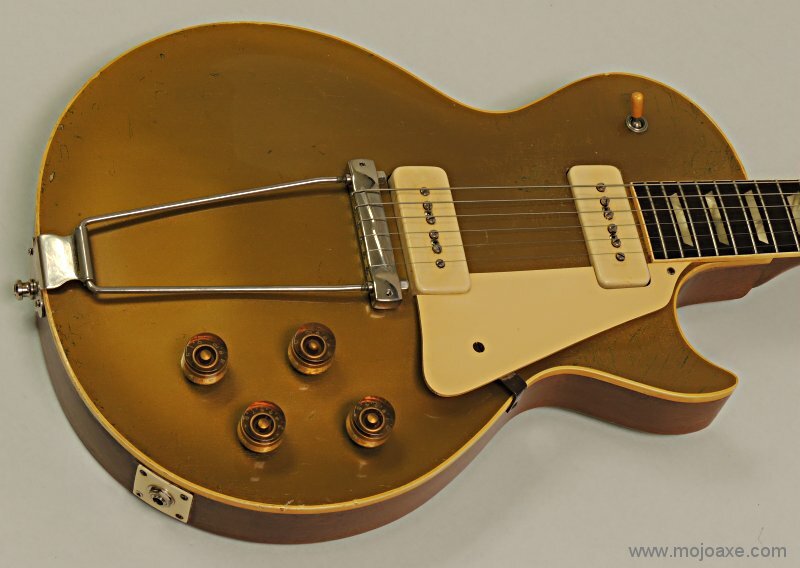 Purchased a 65 Melody Maker. I have two vintage badass bridges one says made in Germany and the other made in USA. Which is the better of the two?